This timeline shows the history of the Cache County Water Department. 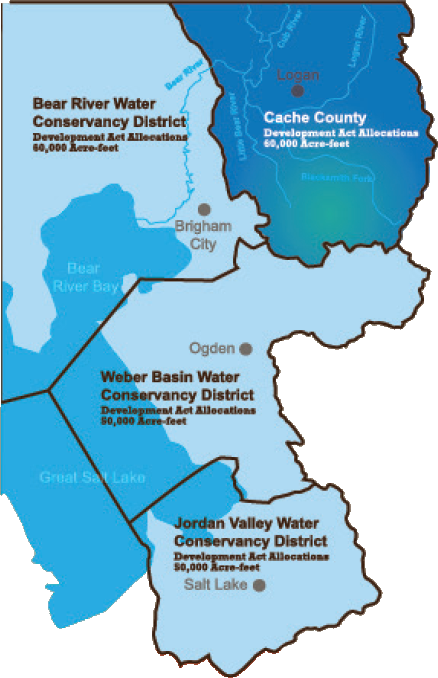 It also shows future plans to maintain and expand water resources within Cache County. Over 40 interviews conducted, including representatives of drinking water systems, Division of Water Rights, Pacificorp, conservancy districts, river commissioners, Bear River Bird Refuge, The Nature Conservancy, and county and state representatives. More meeting information . . .
Stakeholder input given through the process outlined above was used to help create objective criteria to evaluate a number of future projects, and then to evaluate what management system should be in place to implement the selected projects.